Migrants wait inside a makeshift holding area beneath the Paso del Norte International Bridge after being detained by the U.S. Border Patrol last month. 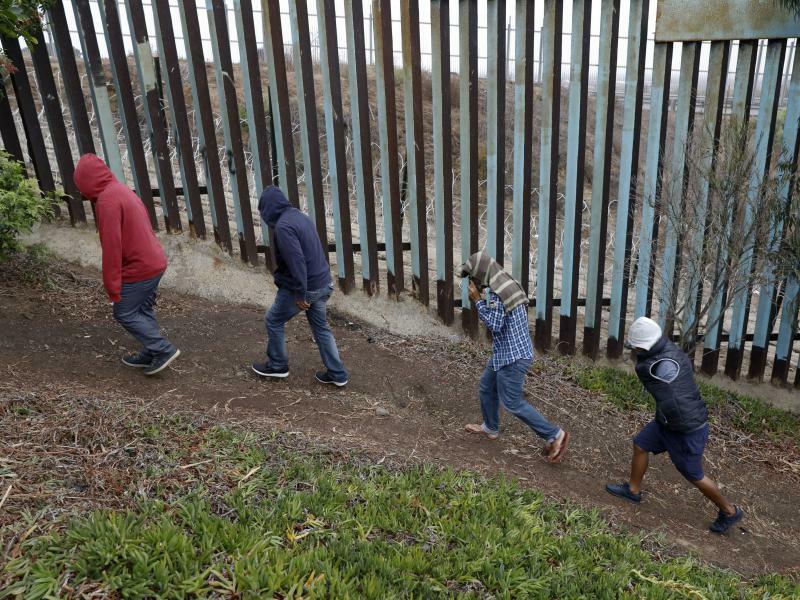 As thousands of Central American migrants wait in Texas border cities for their immigration hearings, some of them are also awaiting health care services. Anna Maria Barry-Jester, senior correspondent for Kaiser Health News, says there’s a network of volunteer doctors in El Paso who are providing care, but it's been a struggle. These doctors work at clinics in shelters where immigrants go after they’re released from detention. Barry-Jester says the doctors are seeing routine health issues like coughs, colds and diarrhea. But they’ve also treated a man with MRSA, or methicillin-resistant Staphylococcus aureus, which she describes as a “flesh-eating” bacterial infection, and more. “People with out-of-control diabetes because their medicines had been taken away in detention, kids with bronchitis and lots of wounds on feet from the long journey traveled,” Barry-Jester says. Barry-Jester says kids with coughs and colds most likely contracted viruses from being kept in an enclosed space while detained. But she says there’s little evidence of more severe communicable diseases like tuberculosis. The doctors are volunteers for the nonprofit Annunciation House, which runs the shelters out of old warehouses, motels, nursing homes and churches. Barry-Jester says many of them are pediatricians who work in the clinics every day. Some of them had volunteered to treat people at Immigration and Customs Enforcement facilities in years past. Barry-Jester says the unofficial coordinator, Dr. Carlos Gutierrez, and the other doctors, fill in gaps where the federal government has fallen short. She says before the December deaths of two immigrant children in detention, the government didn’t provide routine medical care. That has changed, but Barry-Jester says what the government now provides sometimes isn’t adequate. For example, medical providers working with ICE apparently didn’t follow up after the blood test for one young girl who left detention with deep bruises. Doing thorough medical work is hard because of the patients’ constantly changing circumstances. So Barry-Jester says the doctors mainly focus on short-term care. “These doctors only have a few days with the patients, so a lot of what they’re doing is trying to stabilize them, make sure that they’re safe to travel, get any medications that they need, immediately, under control,” Barry-Jester says. “Last year Juarez had 1,200 murders. El Paso, right next door, a few feet away, had 23 murders,” Trump said.